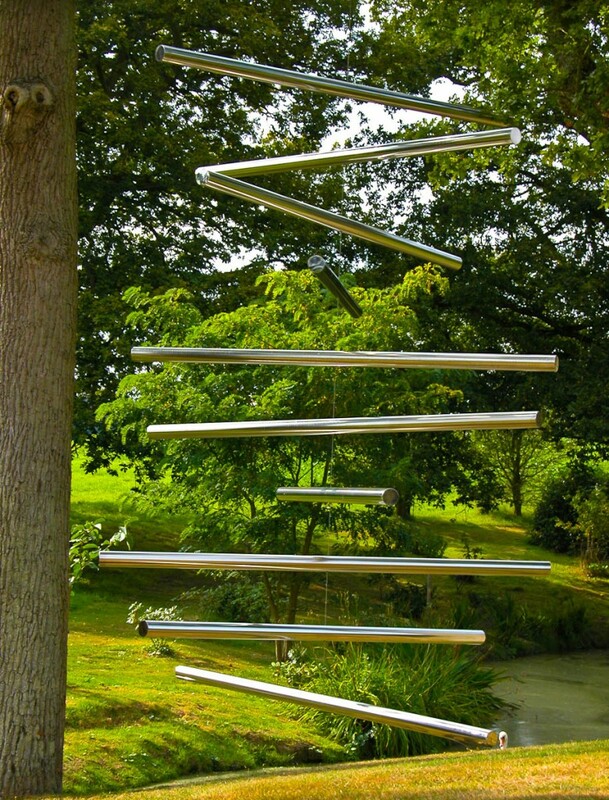 Poles are ten 10 foot (3m) long stainless steel cylinders (1.5 inches/4cm diameter) suspended on a steel wire. 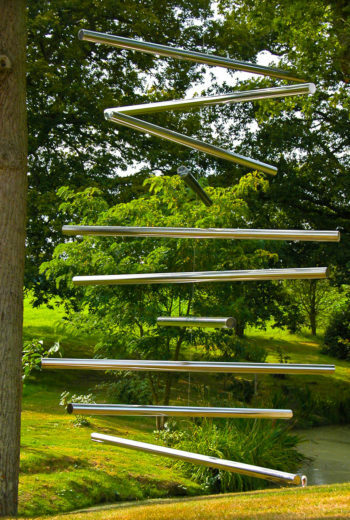 They are designed to rotate endlessly and effortlessly in the wind (they rotate slowly even when there is no wind). 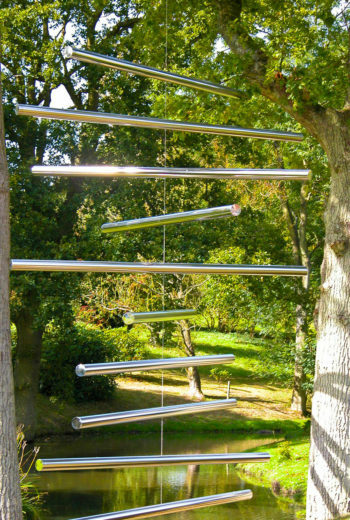 In our garden, they are suspended between two strong trees. 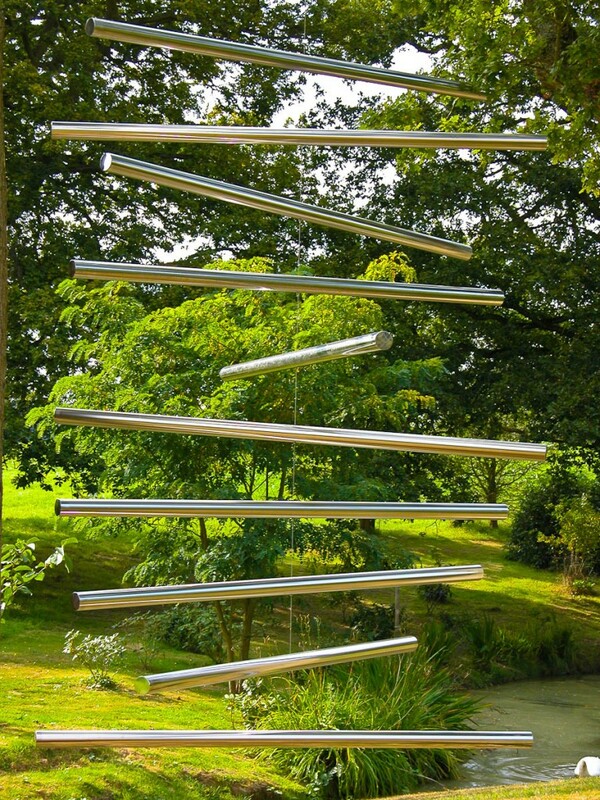 This sculpture is often the most popular with visitors. 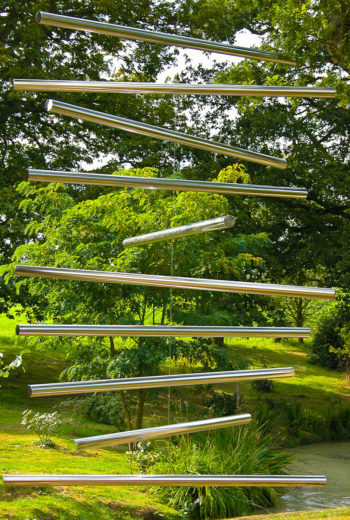 When designing Poles I wanted movement but not too much. I wanted it to be orderly movement and restricted. They dance around in a circle, rarely ever still. catching the sunlight as they go and sending sparkles of reflected light all over the garden and into the house as well. 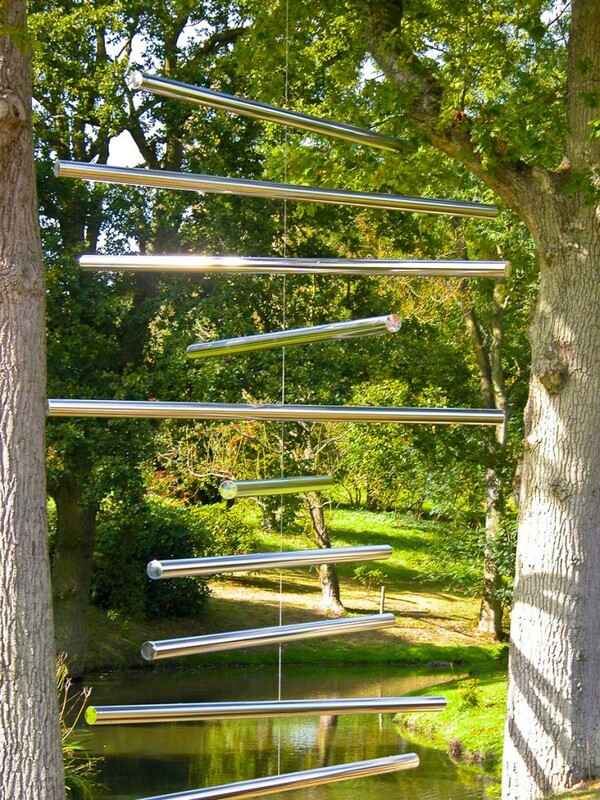 The shape is never the same – they’re horizontal wind chimes with no noise, just sparkle.